Robotiq products are used in many different production floors all across the world. Their grippers, wrist camera, and force torque sensor help manufacturers, no matter how big or small, to reach their goals. Robotics automation is highly reliable and productive for many simple, repetitive tasks. The ease of integration of plug + play solutions allows manufacturers to deploy them fast and reach their goals on the production floor. Robotiq offers plug + play components for collaborative robots that are easy to use even if you don’t have any background in robotics. 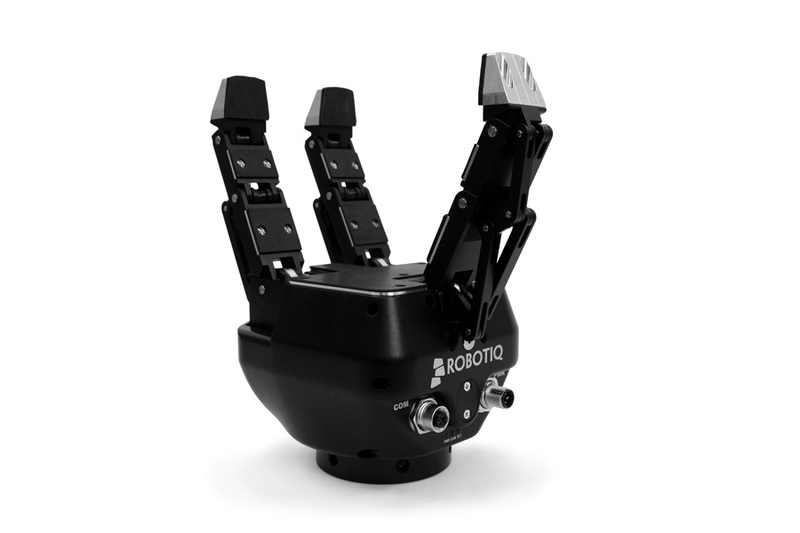 Robotiq's Adaptive Grippers can accomplish many different tasks with a fast time-to-production. 2-Finger Adaptive Grippers offer Plug + Play integration with all Universal Robots models. Using the embedded URCap software for Universal Robots, you have full control over the Gripper, without writing a line of code. Transform your production process by automating the most advanced force-sensitive applications on the market. Program complex robot movements in minutes—no robotics expertise needed. The result is a strong and flexible robot cell. Robotiq's Wrist Camera brings Plug + Play vision for Universal Robots in your factory. With a 30-minute setup time, it locates objects on a work surface, without any coding required. 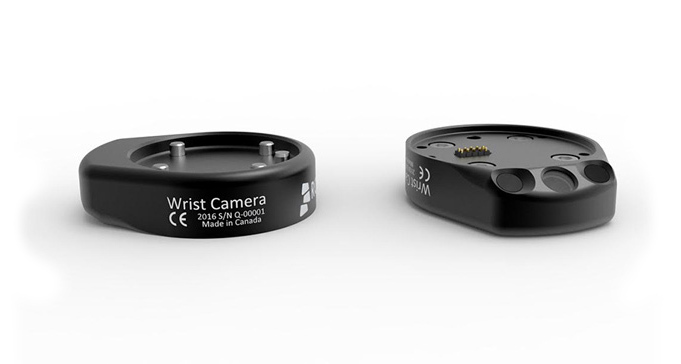 Robotiq’s Wrist Camera is the simple, easy-to-use, part location option that works exclusively with Universal Robots. With the Wrist Camera, you eliminate the need for expensive, custom fixtures to present your parts. The Robotiq Wrist Camera is made for collaborative robot applications in highly flexible industrial environments. The Wrist Camera enables the use of Universal Robots in unstructured environments, eliminating the need of complex and costly jigs in order to position your parts. It simplifies robot cell integration and saves valuable time getting into production. Sanding applications for collaborative robots require many hardware and software components to communicate together. Integration can take months… but not anymore! The Robotiq sanding kit is the only hardware and software all-in-one solution for cobots. Insights sends you a text message when your robot is down and provides real-time data about cycles completed, efficiency, wait-time, and overall utilization for each of your robot. Robotiq’s Force Torque Sensor enables you to automate force sensitive tasks. With our Path Recording UR+, you can program complex robot movements in seconds, without having to set any waypoint. You don't need a background in robotics to use the FT300 Force Torque Sensor. Press record, move the robot, press stop. You’re done programming your robot movement. The Force Torque Sensor is designed for Universal Robots and has perfect mechanical fit with all UR models. Skills are to robots what apps are to phones. They accelerate robot programming by providing ready-to-use, downloadable robotic programs. They extend the build-in capabilities of the robot with a broader variety of specialized tasks. Every Skills package includes a complete program to download on a USB key, a step-by-step procedure describing how to use the application itself, and a demonstration video. Skills are free for all users of Robotiq Plug & Play components or Insights subscribers. Access a complete library of free Skills. There are many of them for every Robotiq Plug + Play component. Download those that match your production needs and enhance your robot’s capabilities. Upload your Skills URCap on a USB key and install it on your teach pendant. You have saved hours of programming and your robot is ready to perform new applications!